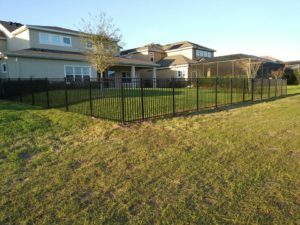 Take a look at the Aluminum Fencing projects that we have completed. 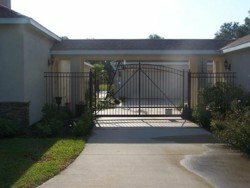 We hope to add your project to this gallery soon! 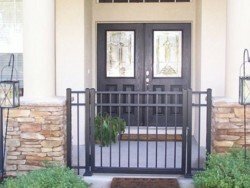 Love the look of wrought iron but not the painstaking maintenance? 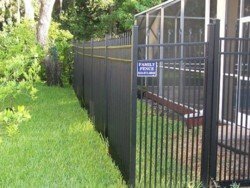 Aluminum fencing from Family Fence Company is your best choice. 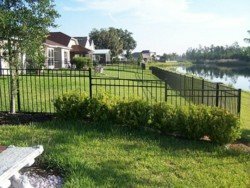 Elegant – We can design you aluminum fence to imitate the sophisticated appeal of wrought iron -- swirls, curves, vines, and arches included. 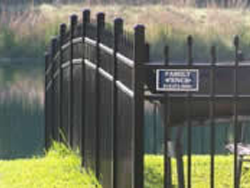 Fencing a contemporary property? 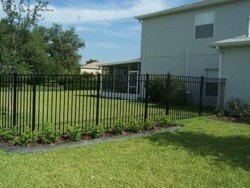 We can also tailor your aluminum fence to reflect more modern design. 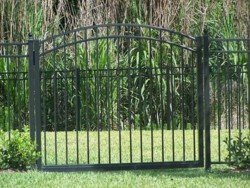 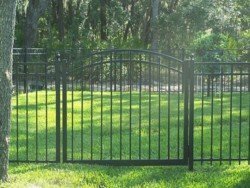 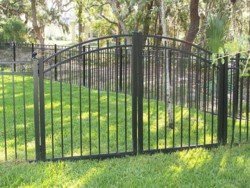 Versatile - If you’re looking for the best material for a swinging gate to secure your beach property, go for aluminum fencing. 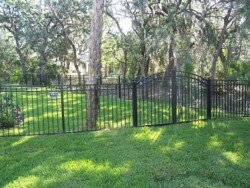 Aluminum is light, which makes it ideal for swinging gates. 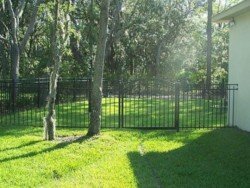 It is also the best option for segmenting property or securing walkways and other vast openings. 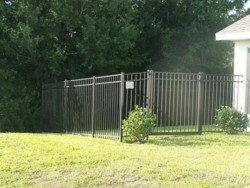 High-Level of Security – Aluminum is tough, which means fences made from this material can provide a higher level of security. 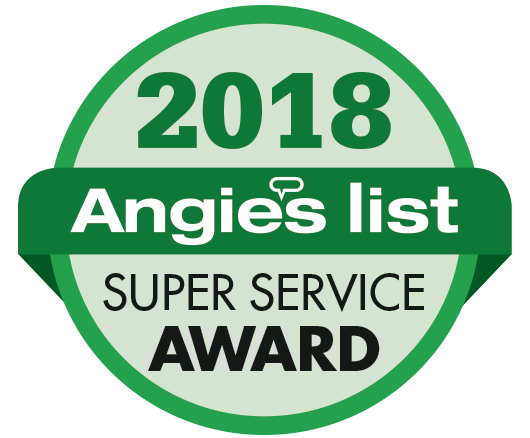 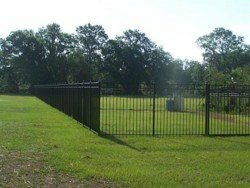 Plus, as our fences are fabricated and installed by licensed, bonded, and insured craftsmen, you are sure to get heavy-duty, lasting fences. 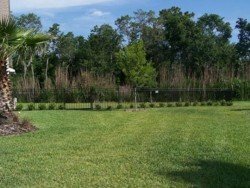 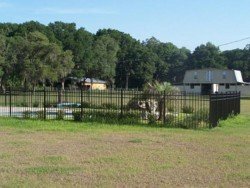 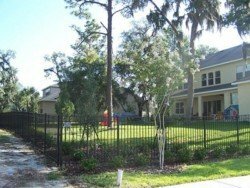 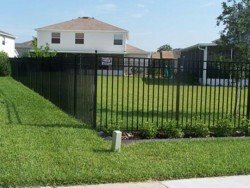 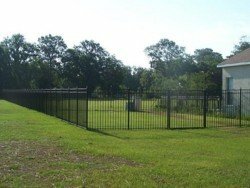 Rust Resistant – Our aluminum fencing is ideal in Florida’s humid environment. 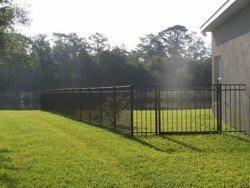 As aluminum resists rust, it is a premium option for those who live in high-humidity and high-salt environments. 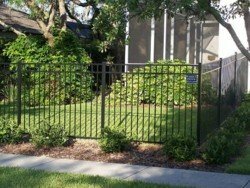 Have an Aluminum Fence Project? Whether you need premium aluminum fencing that imitates the classic appeal of wrought iron or one that reflects a sleek, modern aesthetic, count on us to install a fence that suits your preference. 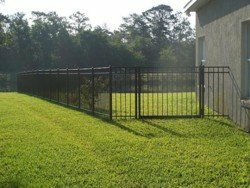 Tell us about how you envision your aluminum fence! 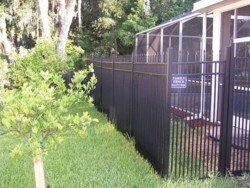 Contact us for a free estimate on aluminum fencing.